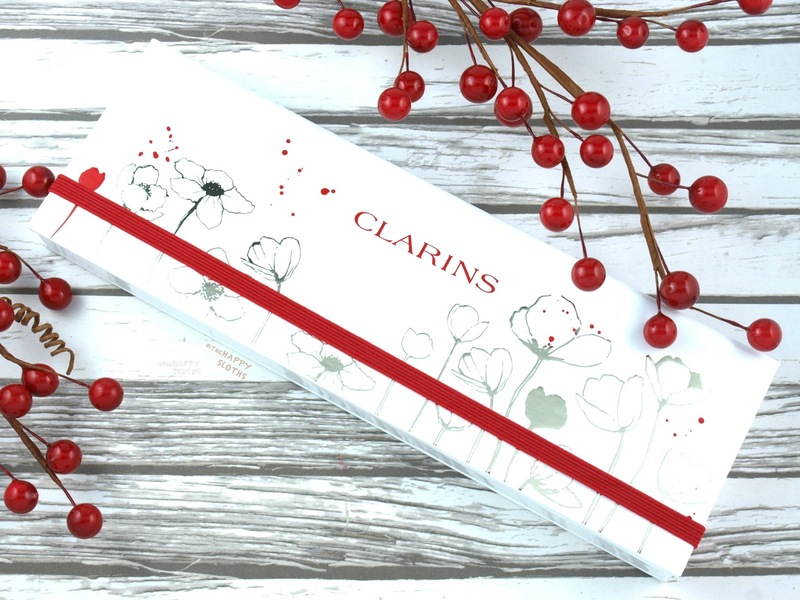 The Essentials Palette comes in a simple but sturdy white cardboard box embossed with a gorgeous poppy flower design. The 10 shadows (1.3g each) are contained in a removable plastic insert so the palette can be repurposed into a pencil case or a small storage box. Included with the palette is a dual-ended eyeshadow brush. In line with Clarins' eco-conscious efforts, the brush is made with sustainably sourced birch, recycled aluminum, and cruelty-free pony hair. 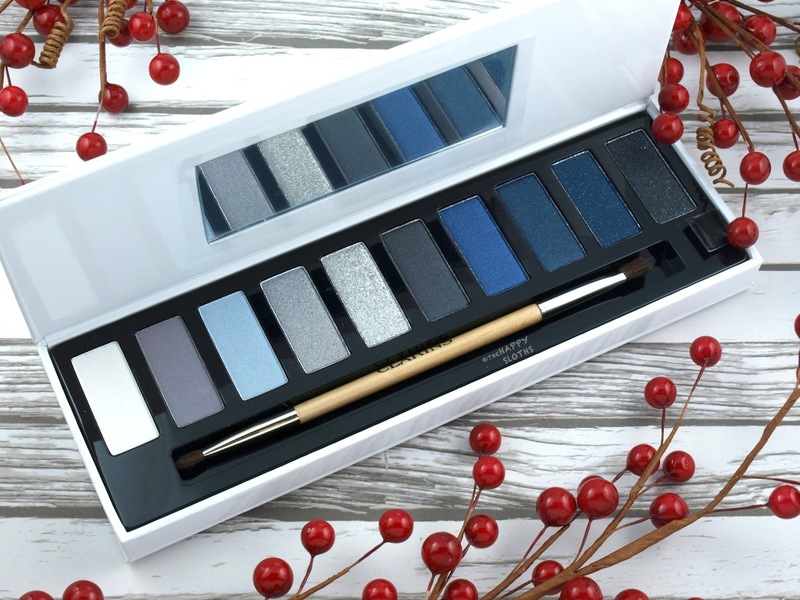 Whereas last year's Essentials Palette took on a neutral brown color scheme, this year's palette is all about the eye-catching silvers and jewel-tone blues. There is one matte, three satins, five shimmers, and one "diamond fleck" metallic foil. In terms of formulation, this palette is very impressive. Each shade is rich, creamy, and nicely pigmented. The standout shade is definitely the high-shine silver, which almost has a loose powder texture when patted with a brush. The formulation is prone to fall-outs but it does build to a gorgeous sheen. I would recommend using a good primer to ensure a smooth application. Below is a look I did using several shades from the palette. 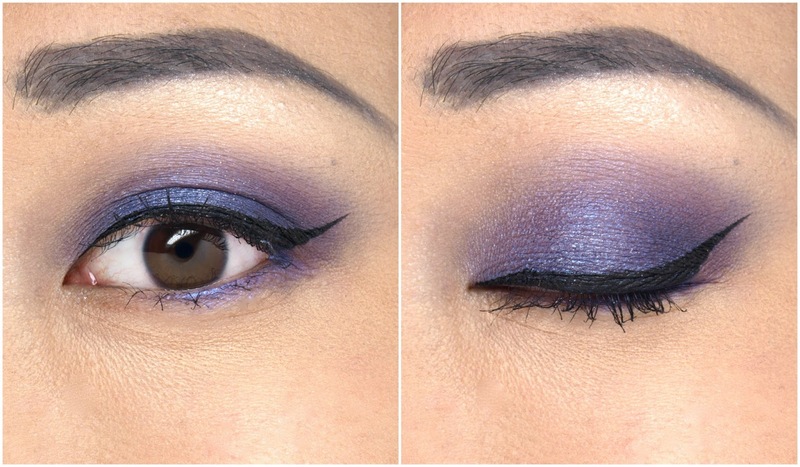 It was very interesting to see how a couple of the blues apply more purple-y than they appear in the pan. 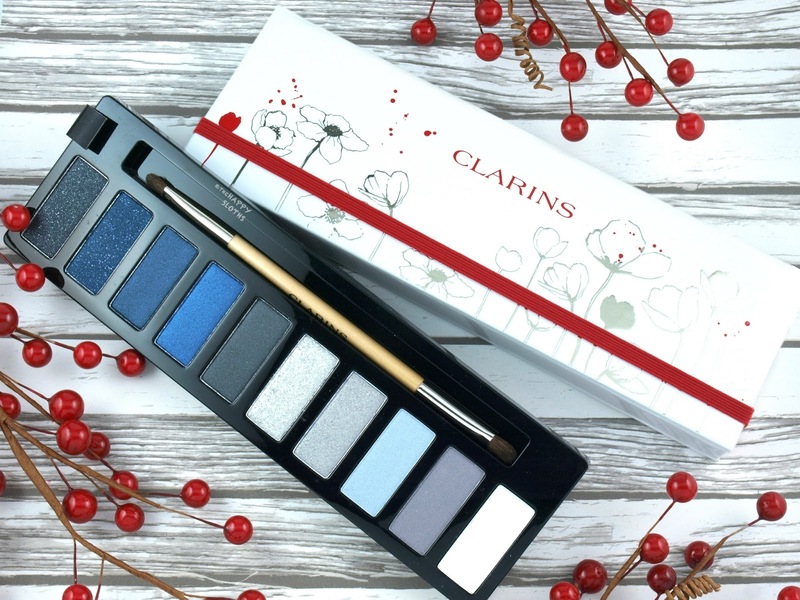 If you are a fan of cool-tone nighttime shadows, then this palette is just perfect!